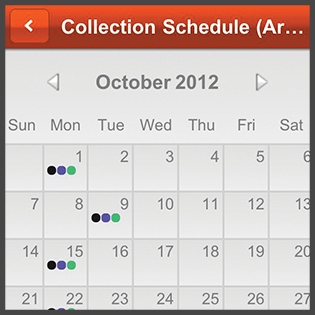 You'll never again lose track of your trash, recycling, heavy brush and bulky item collection days with a schedule customized for your zone. 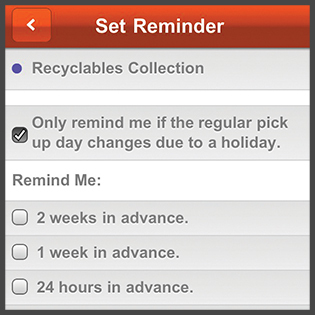 Our free My Waste App reminds you in advance of all collection days; or you can choose to receive alerts only when your collection day changes due to a holiday. 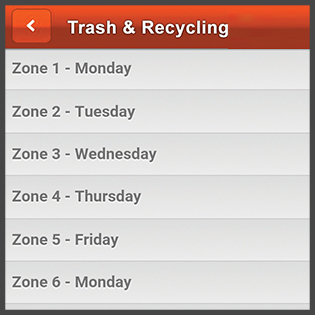 Find out the proper recycling/disposal procedure for most materials, learn the location and hours of operation for the J.C. Elliott Transfer Station and Citizens Collection Center, the Recycling Drop-Off Centers and much more.